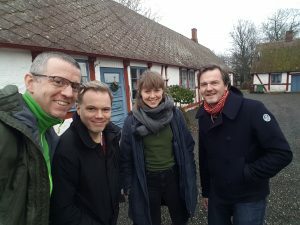 2019 started with rehearsals and recordings with Ralsgård & Tullberg Quartet. It was a really fun week with music, table hockey and good lunches at Ingelsta Kalkon. 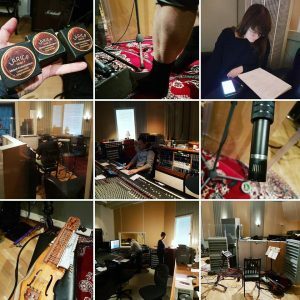 The recording took place in Kverrestad’s bygdegård, a little extra fun for me who comes from the village. Then I went straight to Växjö and played at Valshusets Knutsdans with Mia Marin. Now I look forward to an equally nice continuation in the spring, there will be a lot of teaching at ESI and Kapells, concerts with AER and Ian Carr and some other fun. A Christmas Greetings in the form of Julakillevisan from a concert at KMH two years ago. 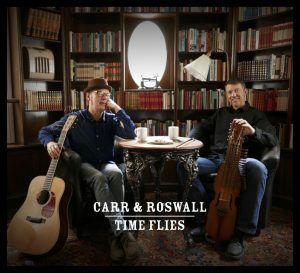 Today, Saturday 27 October, Carr & Roswall’s new album, Time Flies, is released! The release concert takes place at the Oktoberstämman in Uppsala, at 16:15 on UKK. Then we sign and sell CDs at a really good price. Welcome! If you can’t come to the concert, the CD can also be ordered from Dalakollektivets web shop. Or purchased digitally, for example on Amazon. Now an exciting autumn begins! Ian Carr and I will finally record and release a new CD, Jens Comén and I’ll start up Kverrestad-Mörsil again, Ralsgård & Tullberg quartet rehearse before recording and will test the tunes at a concert, Mia Marin and I will play concert and dance and of course there will be a lot of concerts with AER and at Pitefolk we will play our program with Ulrika Bodén. 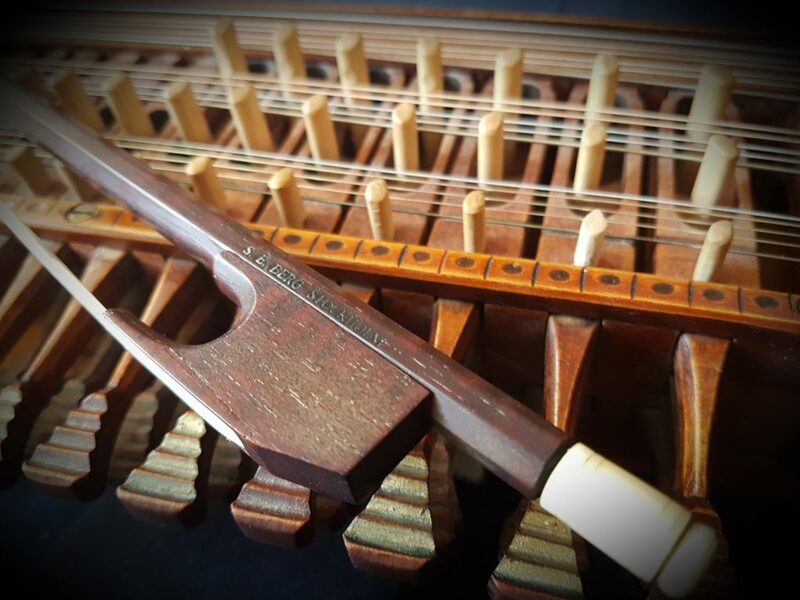 I will also teach, both as usual at the Eric Sahlström Institutet i Tobo but also at the newly started folk music education at Kapellsberg in Härnösand. Hope to see you and keep an eye open, there will be more concerts in the calendar eventually! Here comes the summer’s tour plan. 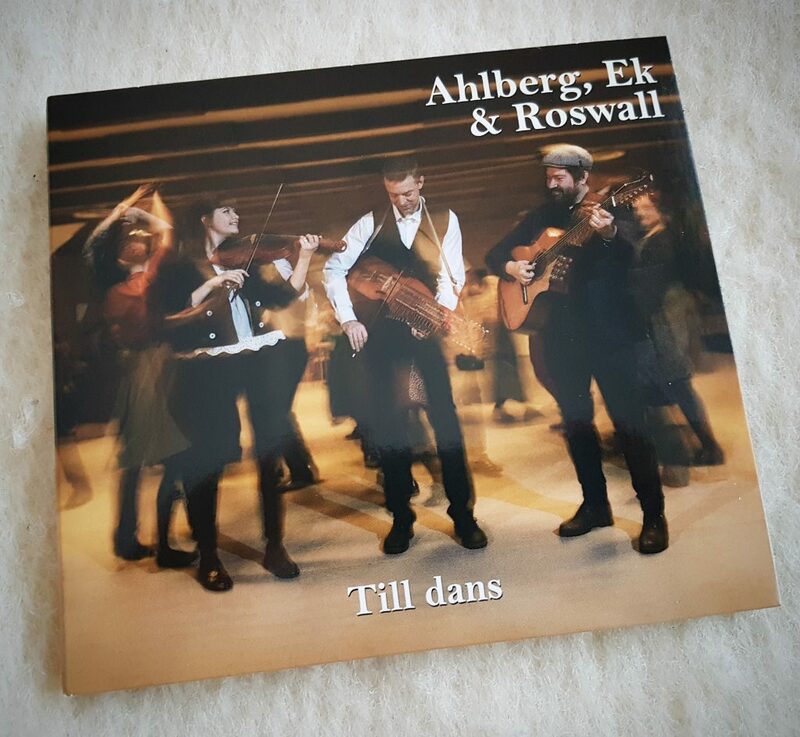 Now Ahlberg, Ek & Roswalls new CD has arrived! It was released April 6-7 at The Folk and World Music Gala/Linköping’s Folkmusic Festival. Now AER have come out of the studio and it feels very good! The name of the album will be “For Dancing” and it will be released in April. During the spring we will also visit Ireland for the Baltimore Fiddle Fair, play a school tour in Västernorrland, Kallstämman in Järvsö, make a release tour with the new CD and some other pleasures. 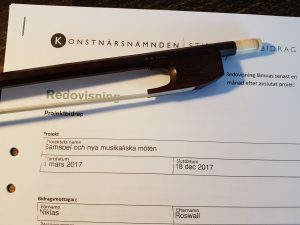 Now it’s time to report and summarize the project “Samspel och nya musikaliska möten”, a project about playing together. It has been great fun, I’ve learned a lot and it has also been so inspiring to meet and make music with people during the year. Thank you very much dear colleagues and a big thank you to Konstnärsnämnden, The Swedish Arts Grants Committee, whose financial support has made it possible!